So many people have been borrowing money from banks for various reasons. The purposes of the loan differ from one individual to the other. Banks and other lenders always check on the financial position of the client before giving them the money they need. Thanks to loan amortization calculator which has made it easy for many people to calculate their loan status. 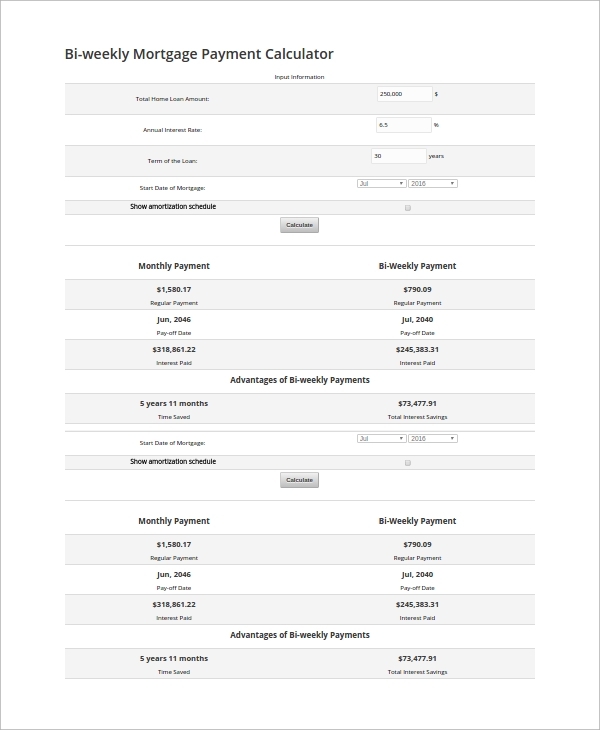 You may also like Credit Card Payment Calculator Templates. Loan tenor, this is the period that the loan will take before it is fully repaid back. During the period you will be required to pay back the loan in monthly installments.Under monthly interest rate, there is add-on rate and effective rate. The two rates are calculated differently and at different percentage depending on the loan tenor. 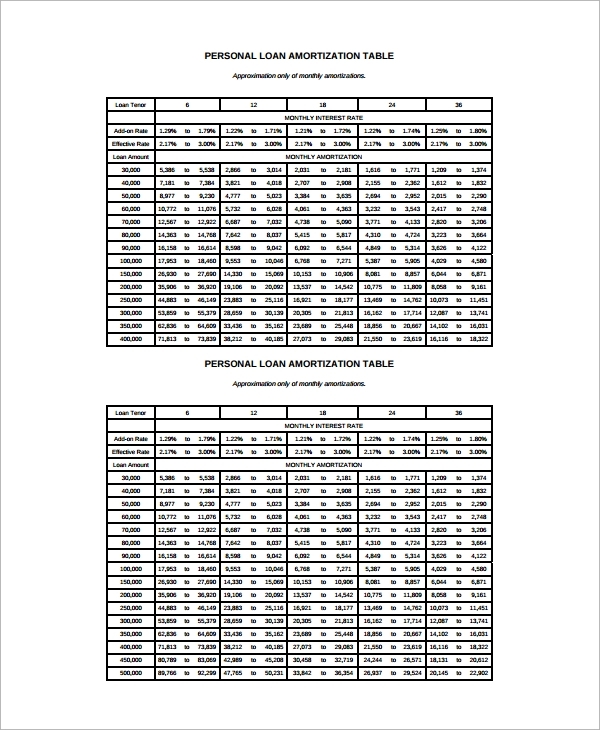 Monthly amortization, it shows how much is paid back per month depending on the amount of loan and the loan tenor. This document will help you to personally calculate the amount of interest you will be required to pay back when you borrow a certain amount of loan. It is already calculated and you just need to add the total amount. 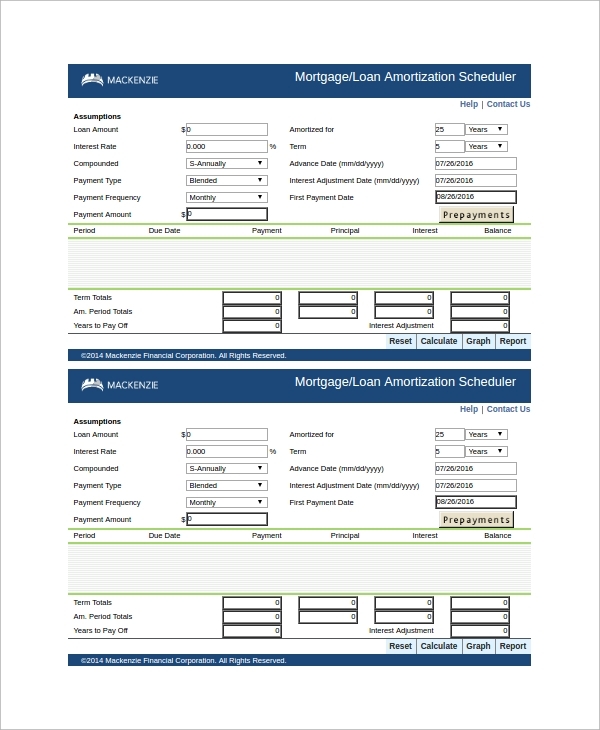 You can also see Amortization Schedule Calculator Templates. 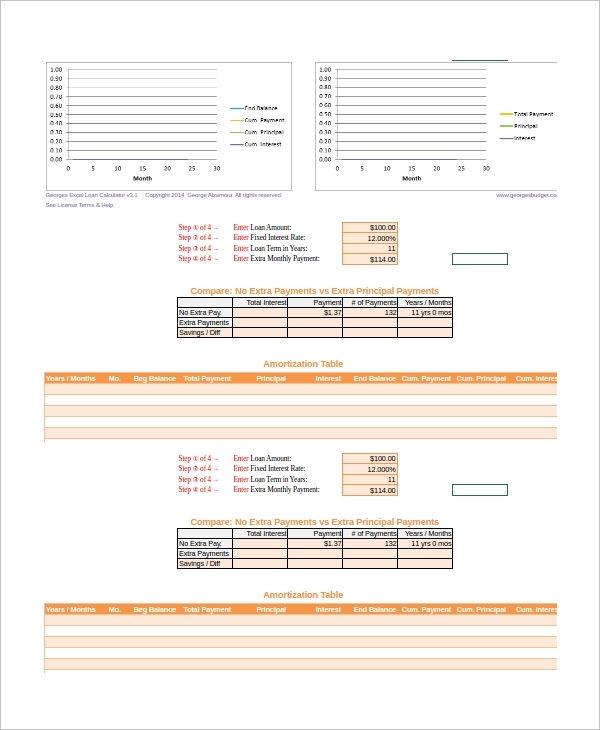 This template is designed in excel spreadsheet format you can easily determine how much you are going to pay per month on your student loan plus interest cost depending on the interest rate that you are charged. It can help you to calculate how much you will save if you make an extra payment on the principal and the way it shortens the student loan duration. If you want to take another loan or to just refinance the existing one then this template will give you all the necessary information related to the loan. This template is the best for students because you are sure to avoid any error when using it. 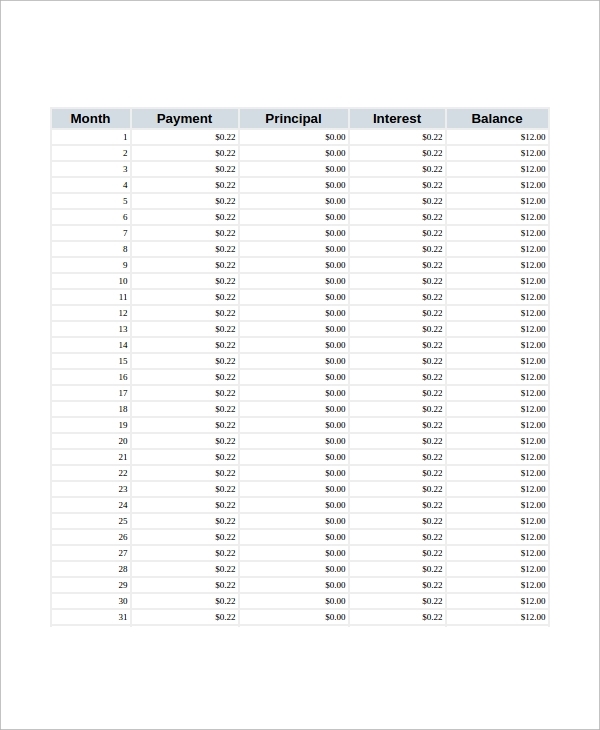 This template is designed in excel spreadsheet format and it can help you calculate the amount that you are going to pay back per month depending on the amount and interest rate of the loan. It is flexible to use you can just enter the information required and it gives you the amount that you should pay. 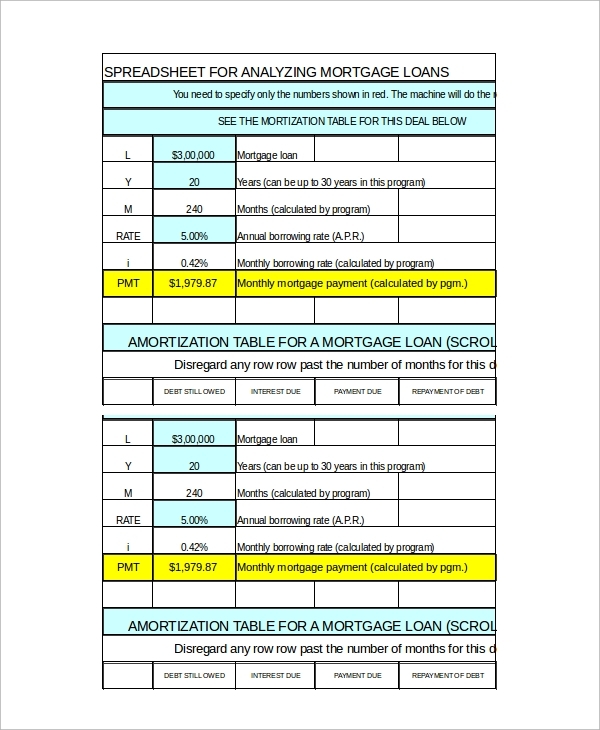 Mortgage loan Amortization calculator is the simplest template to use because when you are done it will show you all the information that you need to know about your loan. Many banks in India give home loans and on a different percentage of up to 90%, different interest rate depending on the amount and most amazing thing is that some banks give loan tenure of up to 30 years. This template has loan features like the amount of the loan, interest rate, tenure, and pre-payment charges and the service charges. It also shows the eligibility criteria for the loan. You can check one to see if you qualify for the loan and how much you can get. Are Loan Amortization Calculator templates effective? There are different types of loans being issued every day by debtors. You as a borrower you need not rely only on the calculations done for you by your debtor but you can also do it yourself to confirm. In some cases, the calculation they give isn’t the actual one and you can save yourself some headache if you use the templates and calculate the actual amount required from you. These templates contain all required information depending on the loan you uptake. 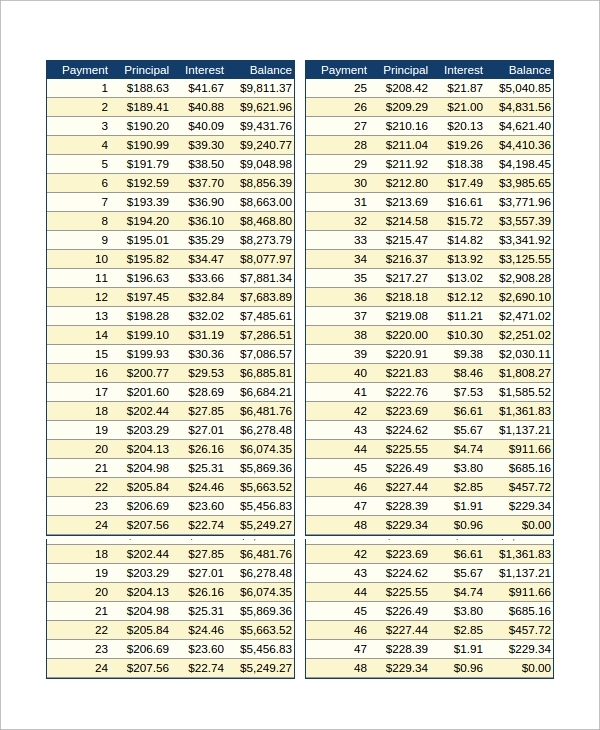 You may also like Mortgage Amortization Calculator Templates. These readily available templates will help you to know how much you are going to pay per month and for how long. You will save some time because you will not be required to go to the bank to ask some questions regarding your loan. Also, you give yourself some peace confirming the amount stated by the bank is correct. Avoid being conned due to ignorance. 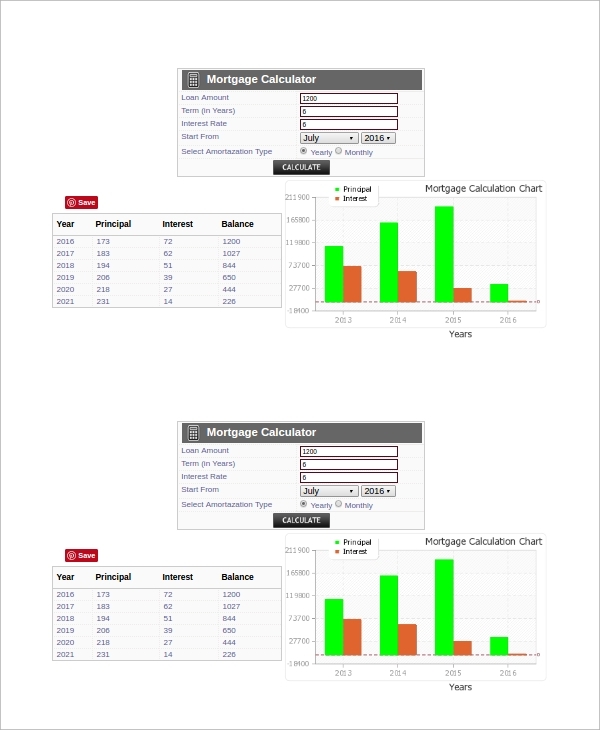 You may also see Mortgage Payment Calculator Templates. The introduction of loan amortization calculator has made it easy for many people to avoid errors when doing loan calculation. With these templates, you can do all your calculations from the comfort of your home. We offer you our templates that are easy to edit and use. You can try our templates today for the best experience and service.